It’s always exciting to see how New York’s natural wonders transform during the wintertime, taking on new appearances that intrigue us to visit familiar places. 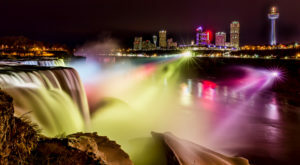 Sitting along the Genesee River, one of our favorite state parks has become known as the Grand Canyon of the East and is an absolute must-see during this time of year. 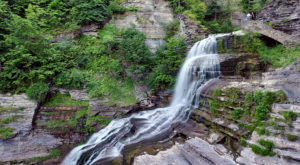 While those who come to Letchworth, one of our most visited state parks, often flock to the three major falls along the river – there’s a reason why you’ll want to explore beyond this particular waterfront trails. 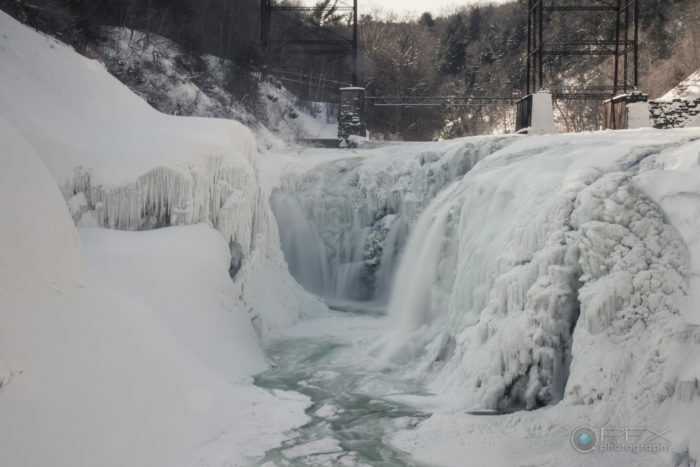 Inside the more than 14,000-acres that make up Letchworth State Park you'll find a winter sight to be seen amongst the many waterfalls and gorges galore. 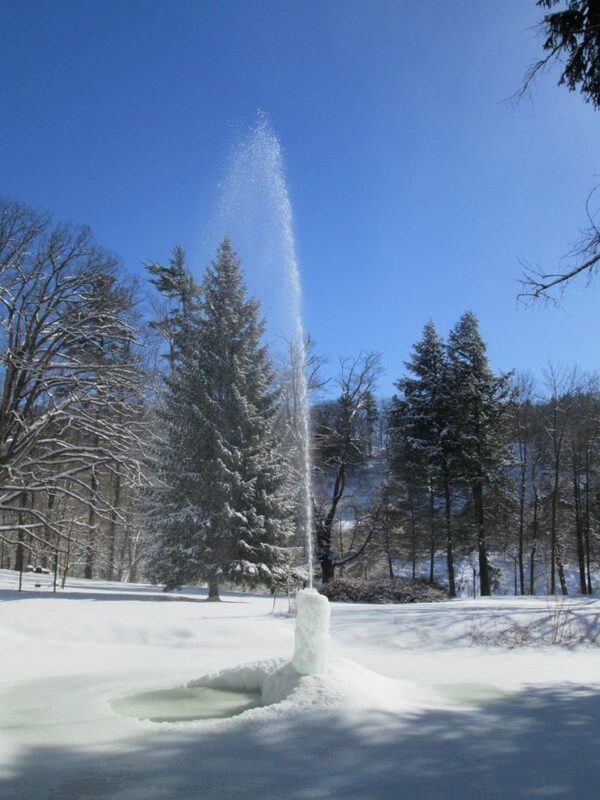 In the heart of the park in front of the Glen Iris Inn, each year when the winter conditions are right - a natural phenomenon occurs that draws in visitors from all over the state. Known as the Ice Volcano, the gravity-fed fountain sprays all year long and quickly begins to form once the weather gets cold enough. 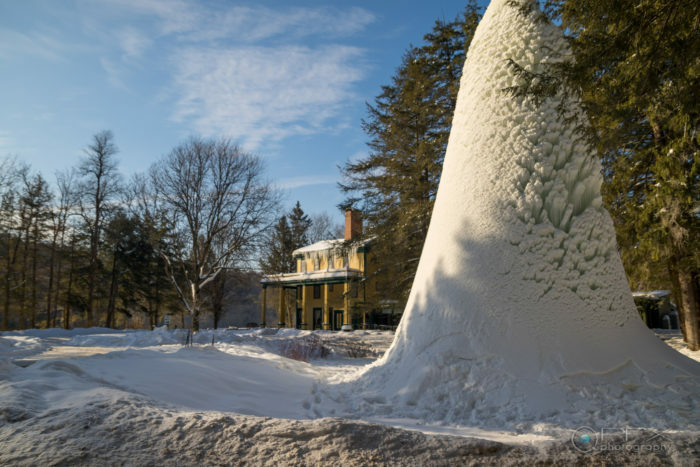 Earlier this year towards the end of the winter season the ice volcano grew to be roughly 30-feet tall, but the most epic year so far that gained the most attention was back in 2015 when the ice volcano reached heights of 50-feet tall! So, should we place our bets now? 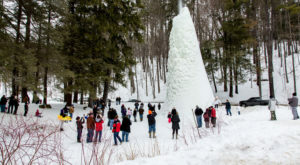 Tell us how tall you think Letchworth's Ice Volcano will grow to be this winter! The delightful little fountain has been in its location in front of the Glen Iris Inn, AKA the former home of William Pryor Letchworth, since 1860. It was only back in 2014 and 2015 that the ice volcano gained national attention as it grew to tremendous heights and wowed all those who were able to see it. As we said, it all depends on the right conditions, but usually, you can expect to see the ice volcano reach its peak epicness during the months of January and February - so keep your eyes peeled! 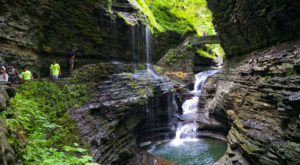 To find out more about Letchworth State Park, click here. 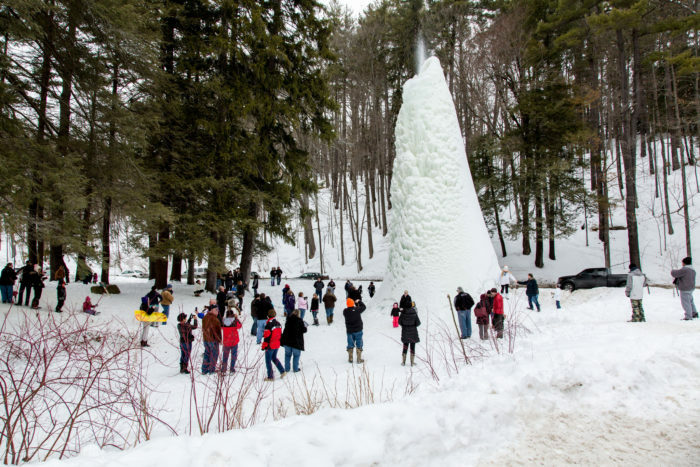 Have you ever witnessed Letchworth’s ice volcano for yourself? To enjoy more exciting seasonal attractions, make sure you read about how There’s A Winter Coaster In New York That Will Take You Through A Winter Wonderland!